A Really Beautiful Silver Large or X Large Turquoise Marquise Knot Pendant with silver work in a Celtic Knot Design that wraps itself around a Stunning 24mm Turquoise Marquise Cab. 5 1/2cm incl its Pretty Bale. Hand Made Turquoise Marquise Knot Pendant. 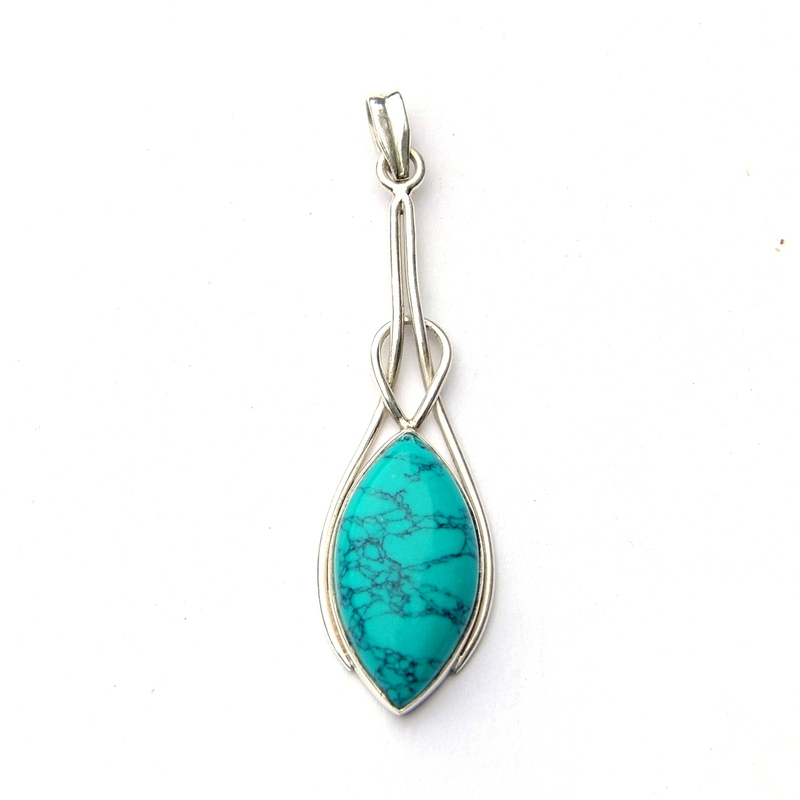 This is a Really Nice Silver Turquoise Marquise Knot Pendant. It has Silver work in a Celtic Knot Design which opens up & wraps itself around a Stunning 22mm X 11mm Turquoise Marquise Cab. This Pendant is over 5 1/2cm including its pretty bale. This website is strictly for approved Wholesale customers only, if you are looking to purchase this Turquoise Marquise Knot Pendant from a retail store, please visit Shooting Star.